For the third year California’s Artisan Cheese Festival will bring you a four fantastic days of seminars, tours, and demos that will cover everything you wanted to know, (and of course taste) from curds to chevres. This year’s bigger and cheesier event will again be hosted by the Sheraton Sonoma County – in Petaluma from March 20 – 23, 2009. The festival kicks off on Friday night, March 20th, with a Meet the Artisans Welcome Reception and Tasting. In on of 13 seminars, cookbook author and cheese expert Laura Werlin pairs up with Sommelier and Wine Consultant, Christie Dufault for “Slam Dunk Pairings” in which the two discuss fail-proof cheese and wine pairings. Saturday night’s Artisan Gala Dinner is designed to be a truly memorable event. This five-course dinner is being prepared by some of the Bay Area’s most notable (and cheese loving!) chefs: John Ash, Duskie Estes (ZAZU and Bovolo), Joseph Humphrey (Murray Circle at Cavallo Point), Josh Silvers (Syrah and Jackson’s Bistro & Oven), and Christopher Moonsommy (Tolay at the Sheraton). The festival continues with the Sunday Artisan Cheese Marketplace, which is being held under an 8,000 square foot tent. This year’s Chef Stage boasts demonstrations from chefs Joey Altman, Chris Jones (The Girl and the Fig), Michael Tuohy (Grange, Sacramento), and Andy Wild (CIA Greystone). 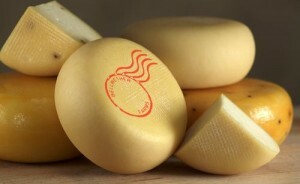 Sunday’s events also include a very special Cheese and Wine Pairing event with acclaimed chef Michael Tusk of Quince. Learn what makes Quince one of the highest rated restaurants in San Francisco! Monday wraps up the weekend with field trips to local creameries for a first-hand look at the artisan cheesemaking process.